Nevada High School 2018-2019 Enrollment Counts - downloaded from the Nevada Department of Education (Enrollment for Nevada Public Schools). The Public Education Foundation administers a variety of scholarships to help students pursue higher educational goals. In many cases, the scholarships make the college and university experience accessible to students who might not otherwise dream of a college education. The Public Education Foundation offers more than 260 different scholarship opportunities for Southern Nevada’s high school seniors to attend both in-state and out-of-state schools. Their scholarship donors are corporations, associations, organizations, foundations and individuals who want to create a brighter future by encouraging education. Each donor has the opportunity to determine the criteria of their scholarship and plays an active role in selecting the scholarship recipients. The Foundation provides professional assistance in establishing the scholarship funds at no cost, including advertising and promotion, clerical support, and an awards recognition luncheon in May. The luncheon gives the donors and scholarship recipients the opportunity to meet if they haven’t already done so during the selection process. By May 2017, the Foundation will have awarded over 6,000 scholarships totaling more than $11.5 million. One of United Way of Southern Nevada's goals is to improve graduation rates across Clark County, particularly in the most disadvantaged schools. During middle school, they help students gain academic skills and increase school participation. In high school, they provide students with resources to stay on track to graduate and explore college. 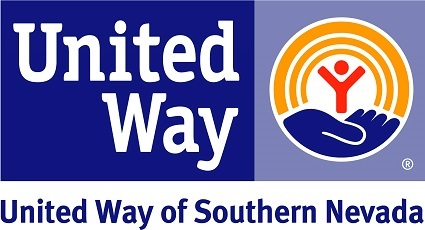 Through these efforts, United Way of Southern Nevada can create a positive cycle of education in our community. Improve school participation through access to needed supports for school-aged children and youth. Build academic skills in school-aged children and youth. Increase life, career, and college skills for school-aged children through out-of-school time and/or enrichment opportunities. Create environments that promote and support college and career pathways. Leaders in Training (LIT) is a grassroots college access and community empowerment non-profit organization with the vision to empower East Las Vegas students to become first-generation college graduates and the next-generation of diverse leaders who change the world. Through college access and attainment, critical consciousness development and leadership development, Leaders in Training is a 9-year comprehensive program that empowers students through high school, college and as alumni in order to empower them to become the change from the community, for the community. At Fulfillment Fund Las Vegas, they open young people’s eyes to the possibility of higher education. By providing classroom instruction, one-on-one college counseling and experiential learning opportunities, they show young people the steps to take to access a college education, and change their beliefs about what they are capable of achieving.